In the weeks following Frankie’s birth I had a series of encounters that gave me such peace and made me realize everything was going to be alright. One such encounter was with the woman who evaluated Frankie for Early Intervention services. We had an instant connection as she told me, with tears in her eyes, about her own baby that had died from a broken neck during child birth. A baby that also had Down syndrome. She spent much more than her allotted time with us and when she left, I couldn’t help but hug her when she assured me that Frankie would be amazing. A few weeks later, Frankie rolled over all on her own at 1 month old. I excitedly texted Sylvia to let her know her prediction was already coming true! She wrote back and sent me a picture of a teenage girl with Down syndrome she had been mentoring. 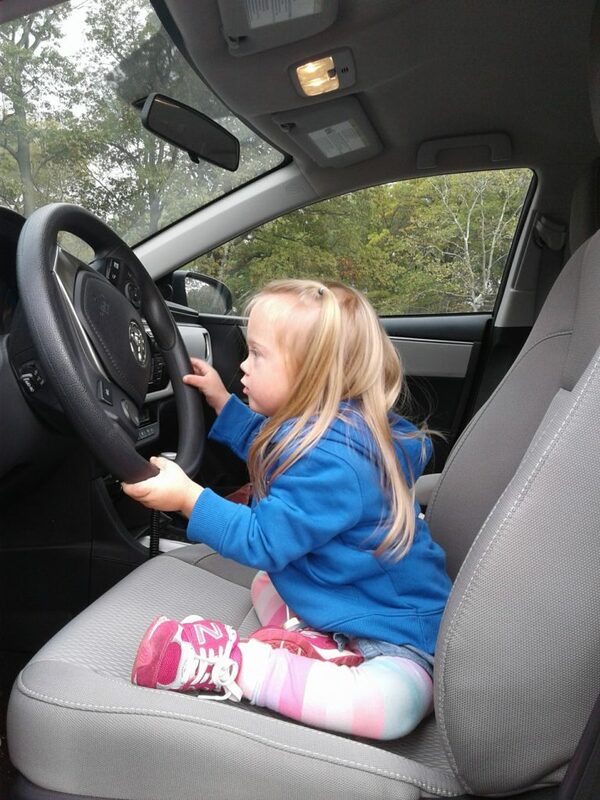 She had just passed her driver’s test. “The sky’s the limit!” she wrote. And for the first time since Frankie was born I believed it. I wish she could see our girl now.